Computing Personal Net Worth for the 8a Certification. 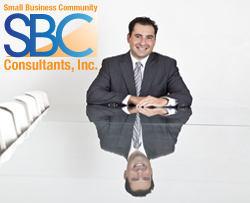 - SBC Consultants Inc. The 8a Certifications, like all other Certifications have guidelines and rules. The 8a Certification is by far the most difficult of Certifications to get and thus the most strict when it comes to Personal Net Worth. The SBA states that an applicants, personal Net Worth May not exceed $250,000, excluding their home, retirements accounts such as 401k or IRA’s and their equity in their primary business. However, there are other factors that applicants must consider. Remember that it excludes the equity in the primary business. But what happens if you own multiple businesses, but are only applying under one business? The rule of thumb is that the equity you possess in the other businesses MUST be included in your Personal Financial Statement and will be added to your assets. How do you know what to add? The line items to look for are Retained Earnings and Capital Stock. The Retained Earnings are the earnings the owner forgoes to take as a distribution and lets the company retain them. Hence the term retained earnings. Retained earnings is a balance sheet item. Capital Stock represents the size of the equity position of a firm and can be found on the balance sheet as well. This is a conservative way of determining the value of the business to be included on the personal financial statement. It could significantly undervalue or overvalue the company by using this method. If it severely undervalues the business (in other words, if the owner could sell the business for substantially more than the total of the retained earnings and capital stock investment), then you’ll want to support the “real” value of the business with an appraisal value submitted by a qualified/licensed business appraiser. A lot of people applying on their own tend to forget to add Retained Earnings and Capital Stock for their additional business to the computation of personal net worth. This is a HUGE mistake and after spending hours and hours of work getting the 8a application complete, this minor overlook can be a waste of time. **Take a look at our latest Video Testimonial HERE.